Premium Quality Knotty Pine Hand Scraped Plank Countertop. Quote and order any size hand scraped plank countertop online! Fill in the dimensions below and options below. A lightweight wood that is also strong, durable, and known for its reliability, Knotty Pine is a warm, light brown with yellow undertones. The small, tight knots found throughout the wood give it its signature rustic look. Knotty Pine features a fine, uniform texture and a straight grain that contributes to its stability. 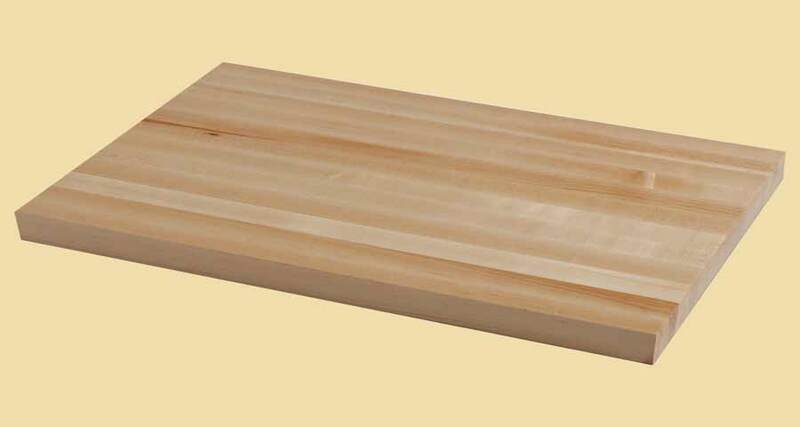 Plank countertops are constructed with full length planks, varying in width from 3" to 6". The first and last plank may be less than 3". Hand scraped plank countertops are both traditional and rustic. Our skilled woodworkers scrape each board by hand. We have several choices for the top edges of your hand scraped top. The hand scraping may or may not run into the edge occasionally. Note: The picture above shows a prefinished top. The knotty pine hand scraped plank countertops on this page are sold unfinished. The picture gives you an idea of how your hand scraped countertop will look after you have applied a clear finish. 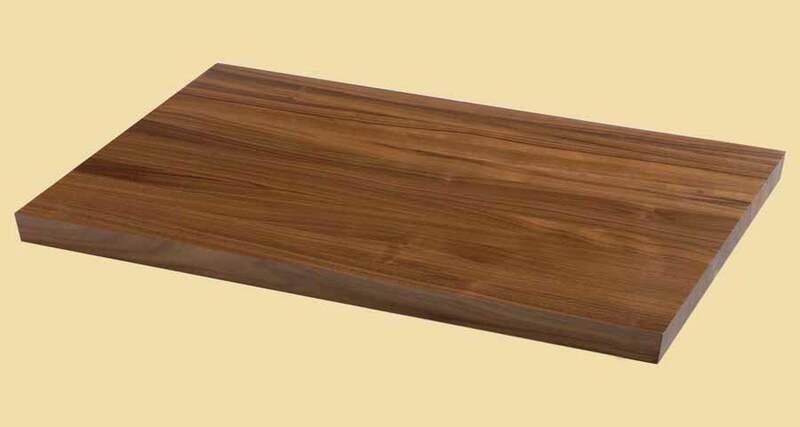 Below are photo(s) of our American cherry plank countertops shared by our customers. Some have been prefinished at our factory and some have been finished on site. Lighting conditions vary. These pictures are from many different settings. While they can give you an idea of the overall beauty of an American cherry plank countertop, these pictures should not by used to determine the wood color or other specific characteristics. Please visit the product listing above for a description of the wood and other specifications.